(1) Pluminium frame packed in a carton. 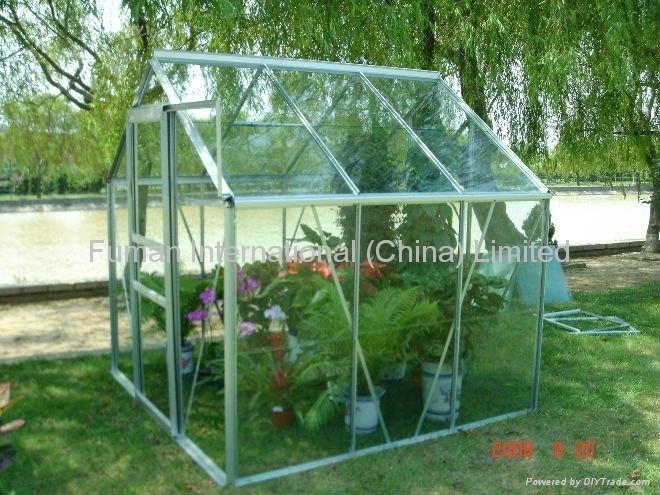 (2) Polycarbonate panel packed in a carton. (3) Steel base packed in a carton. 5.---Price--- FOB Qingdao US$160.00 per piece. 2. Features: American Style, Heavy Duty, 6 cft.capacity for sand and 90 lit. 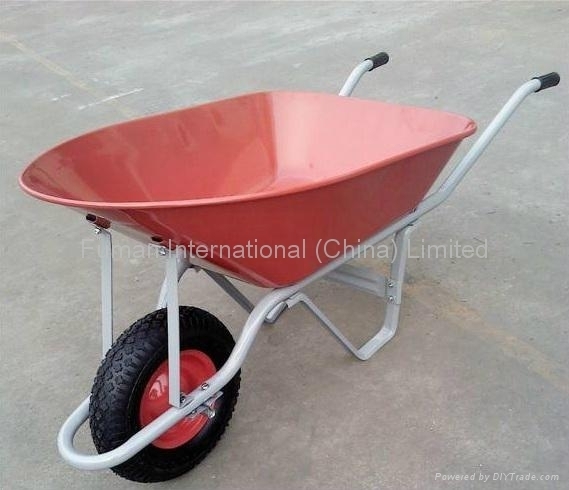 capacity for water, 14” x 4.00 – 8 pneumatic wheel with inner tube, steel rim and ball bearings, “U” style legs, 0.9 mm thick steel tray with powder coating, tray size:1020L x 680W x 320H mm, steel tubular handle size:1.3mm thickness x32mm diameter, Cart Body Size: 1690L x 680W x 720H mm, N.W. : 16.3 kgs. Loading capacity: 150 kgs. 3. Packing: 40 pieces into a steel pallet, Pallet Size: 1,700L x 1,000W x 1,020H mm, N.W. : 672 kgs, G.W. : 714 kgs. 4. Loading Quantity: 400 pieces per 20' Container, 800 pieces per 40'C, 1,000 pieces per 40'HC. 1. Description: GC1813 Garden Cart 2. Features: Steel frame with steel mesh tray, 10” x 3.50 - 4 pneumatic tire with inner tube, steel rim and ball bearings. Steel tubular handle with a foam grip. Green powder coating. Cart overall size: 1100L x 510W x 890H mm, Loading capacity: 150 kgs. 3. Packing: 1 piece into a master carton. N.W. : 19 kgs, G.W. : 20.4kgs. 4. Loading quantity: 640 pieces per 40' Container. 1. Description: GC1810 Garden Cart 2.Features: Steel frame with a basket,13"x 5.00-6 4 ply pneumatic tire with inner tube, steel rim and ball bearings, steel tubular handle with foam grip. Green powder coating. Cart size: 1350L x 620W x 975H mm. Loading capacity:680 kgs. 3. Packing: 1 piece into a master carton, Carton size: 1280L x 650W x 190H mm. N.W. : 32 kgs. G.W. : 34 kgs. 4. Loading quantity: 405 pieces per 40' Container.